I’m a sucker for Moleskine notebooks. You know — those hardcover planners, journals, and sketchbooks designed to look like the simple black notebooks used by artists and writers such as Bruce Chatwin, Oscar Wilde, and Pablo Picasso? I call myself a sucker because the notebooks are expensive. You might be able to pick one up for $9 on Amazon, which also sells basic spiral-bound reporters notebooks for 75¢ a pop. And while the latter are practically designed for one hand to hold while the other furiously scribbles notes, the Moleskines are more aspirational. The journals have a classic timeless design. And the weight of the notebook in your hands, along with the cultural legacy that Moleskines’ creators so deftly hitched their brand to, hold out the promise that whatever is written in its pages will be substantive and important. In any case, when I went to the bookstore yesterday to buy a lengthy how-to about Web design, I came across Moleskine’s new Recipe Journal and I couldn’t resist. Because lately I’ve been keeping my recipes in a folder, with the most recently used on top. And it’s not terribly user-friendly. The Recipe Journal’s black cover is nicely embossed with a pattern of cooking tools. The first third of the book is divided into tagged sections (Appetizers, First Courses, Main Dishes, etc) and the pages are designed to record ingredients, preparation instructions, cooking time, and other useful recipe information. 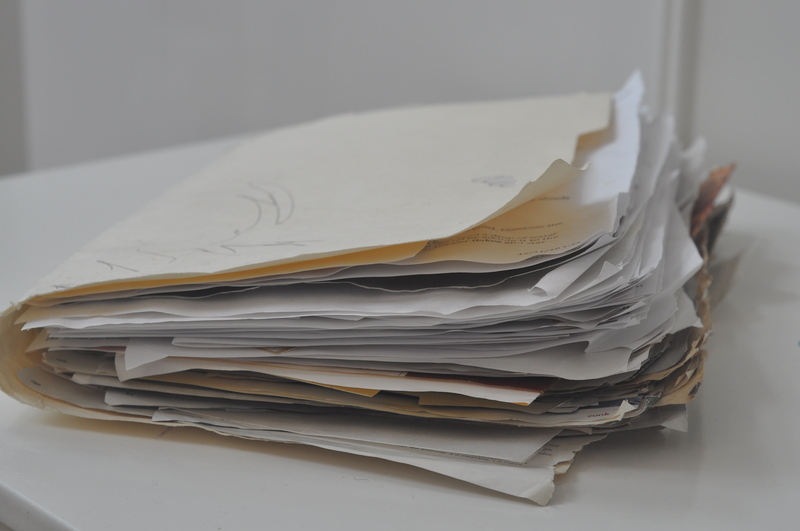 The rest of the book includes some tagged sections that you label yourself and lots of blank pages. And the last few pages are devoted to a fill-it-in index that will help you find the page number of a recorded recipe. I’ll be using the blank pages at the back of the book to refine recipes. The front pages I’m reserving for recipes that earn an A from The Professor. 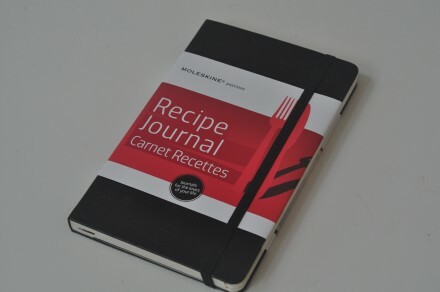 I know Moleskine’s Recipe Journal won’t make my recipes any better. But they might make them easier to find. What Good to a Nook Is a Hook Cook Book? “Martha Stewart Makes Cookies a $5 app for the iPad, is the wave of the future. Every recipe has a photo of the dish (something far too expensive for many printed cookbooks). Complicated procedures can be explained by an embedded video. When something needs to be timed, there’s a digital timer built right into the recipe. You can e-mail yourself the ingredients list to take to the grocery store. The app does what cookbooks cannot, providing a better version of everything that came before it. Yet cookbook sales rose 10% in the US and Europe last year, and 20% in Asia and Latin America, according to Fast Company,. Moreover, the best-selling non-fiction title of 2010 was a cookbook — Jamie Oliver’s 30-Minute Meals! 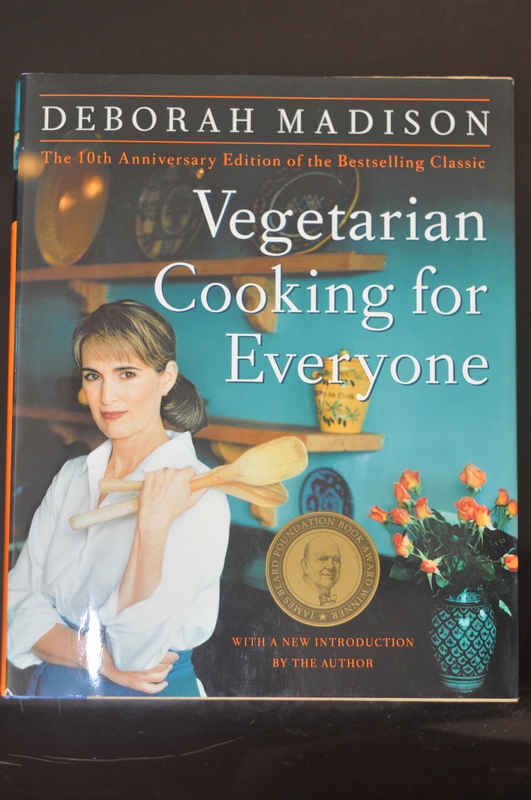 Vegetarian Cooking for Everyone, by Deborah Madison. Madison is, of course, the founding chef of Greens restaurant in San Francisco. She’s also the author of some nine cookbooks, including this bestselling classic. 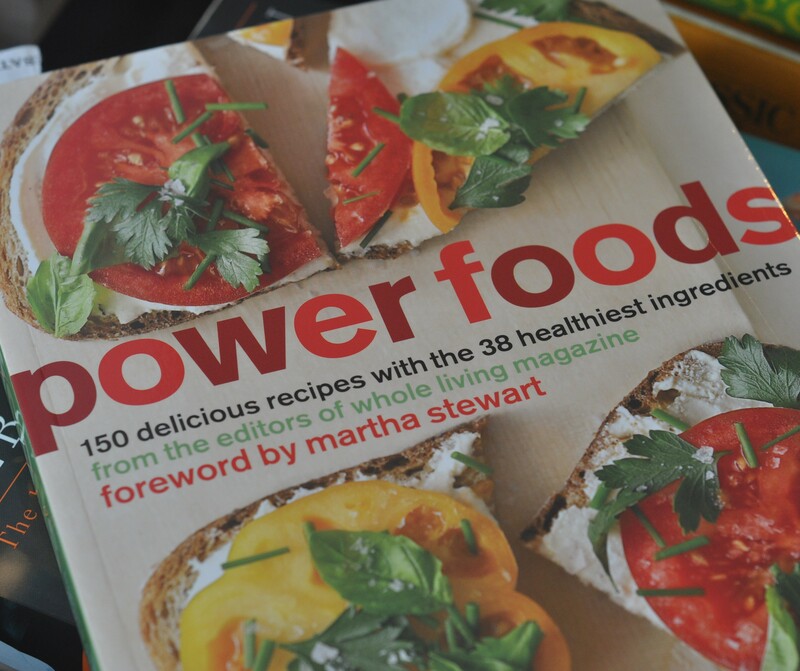 Power Foods: 150 Delicious Recipes with the 38 Healthiest Ingredients. I’m not sure I’ll ever convince The Professor to like quinoa, but it’s worth a shot. On Food and Cooking, by Harold McGee. 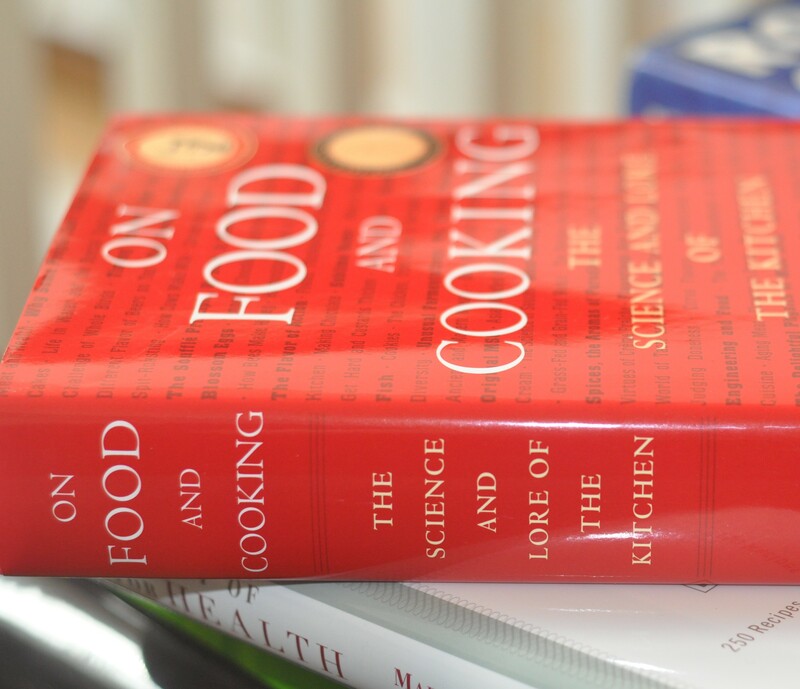 This tome about cooking contains no recipes, but is filled with little-known facts about the science of cooking, the history of eating, and the etymologies of common food names. It might not make me a better cook, but it will enable me to distract you, dear readers, with the history of ketchup and an explanation for why almonds don’t taste like almond flavoring.